Terri Bianchi is our doctorally-prepared nurse practitioner. 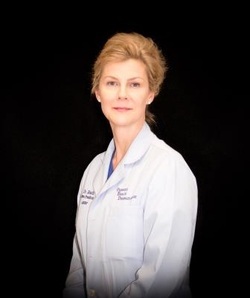 As a nurse practitioner, she has the expertise and ability to provide services including diagnosing skin disorders, writing prescriptions, ordering and interpreting lab tests, and surgical treatment of benign and cancerous lesions. She is also experienced and certified in laser treatments, sclerotherapy, Botox, and wrinkle fillers. She earned the title “Dr. Bianchi” when she received her Doctorate of Nursing at Case Western Reserve University in Cleveland, Ohio. She is board certified, having earned her Master of Science in Nursing and trained as a family nurse practitioner at the University of Florida in Gainesville, Florida. She joined Ormond Beach Dermatology shortly after Dr. Sevigny opened the practice. Formerly she held a dual faculty practice and primary care provider role in the Family Health Center, Family Practice Physician training program at Halifax Medical Center here in Daytona Beach.